Bharat Gas Resources Ltd, a unit of state-owned BPCL, won licence for 11 cities like Amethi and Rai Bareli in Uttar Pradesh and Ahmednagar in Maharashtra. 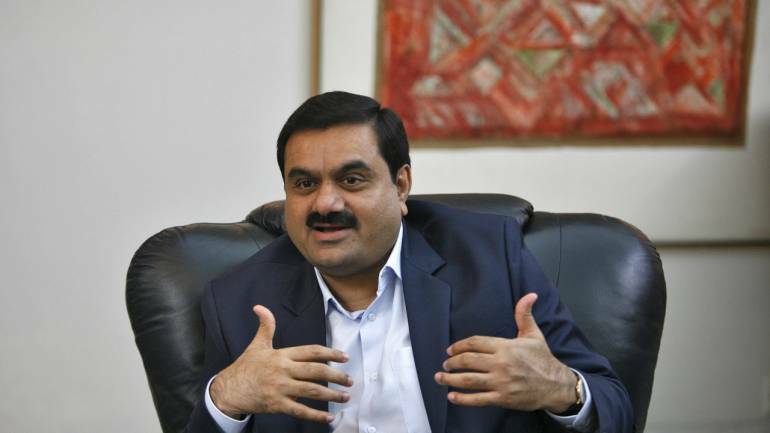 Gautam Adani's group has bagged licences to retail gas in 21 cities in the latest city gas distribution bid round that saw state-owned Bharat Petroleum Corp Ltd's unit and Torrent Gas emerging as the other big winners. Adani Gas won rights to retail CNG to automobiles and piped cooking gas to households and industries in 13 cities on its own and another nine, including Allahabad, in joint venture with state-owned Indian Oil Corp (IOC), according to results of 78 out of the 86 cities that were bid out in the country's biggest city gas distribution (CGD) bid round. According to the Petroleum and Natural Gas Regulatory Board (PNGRB), IOC on its own won rights to seven cities, including Coimbatore and Salem in Tamil Nadu and Guna in Madhya Pradesh. Bharat Gas Resources Ltd, a unit of state-owned BPCL, won licence for 11 cities like Amethi and Rai Bareli in Uttar Pradesh and Ahmednagar in Maharashtra, while Torrent Gas Pvt Ltd made nine winning bids that included ones for Alwar in Rajasthan, Moradabad in Uttar Pradesh and Karaikal in Puducherry. State gas utility GAIL's retailing arm, GAIL Gas, managed rights for four cities, including Dehradun. Indraprastha Gas Ltd, the firm that retails CNG in the national capital, won city gas rights for Meerut and Muzaffarnagar in Uttar Pradesh. "As per the commitment made by the various entities in the 78 Geographical Areas (GAs) approved for issuance of Letter of Intent (LoI) in 9th CGD Bidding Round, 1.53 crore domestic piped natural gas connections and 3,627 CNG (compressed natural gas) stations for transport sector would be installed largely during a period of 8 years up to September 30, 2026," PNGRB said. When the bid round closed last month, IOC, BPCL and Adani Gas Ltd were the top bidders. Of the 86 cities offered for retailing of CNG to automobiles and piped cooking gas to households in the 9th CGD bid round, IOC bid for 34 cities on its own and another 20 in partnership with Adani Gas Ltd.
Adani Gas on its own bid for 32 cities. Bharat Gas Resources Ltd bid for as many as 53 cities while GAIL Gas Ltd put in offers for 34 cities. Gujarat-based Torrent Gas Pvt Ltd bid for 31 cities while Gujarat Gas Ltd put in offers for 21 areas. Petronet LNG Ltd, India's largest liquefied natural gas (LNG) importer, sought to foray into CGD business by bidding for licence in seven cities. Indraprastha Gas Ltd had put in bids for 11 cities. In a statement, PNGRB said the 9th CGD Bidding Round was launched on April 12 for development of city gas networks for the 86 Geographical Areas (GAs) which includes 174 districts (156 complete and 18 part), spread over 22 states and Union Territories (UTs) in India. "Based upon the bids evaluations PNGRB approved issue of Letters of Intent (LoI) to the successful bidders for 78 GAs," it said. The regulator said bids for remaining GAs are being evaluated and outcome of the same will be announced shortly. "At present, CGD authorisation has been given by PNGRB for 92 GAs covering 124 districts spread over 23 States and UTs. These cover 20 percent of India's population and 11 percent of its geographical area. In addition, CGD operations are being carried out in 5 districts, authorisation for which is either under consideration of PNGRB or is sub-judice. "With the completion of 9th CGD Bidding Round, CGD would be available in 178 GAs comprising 280 districts spread over 26 States and UTs covering more than 50 percent of India's population and 35 percent of its geographical area," PNGRB added.